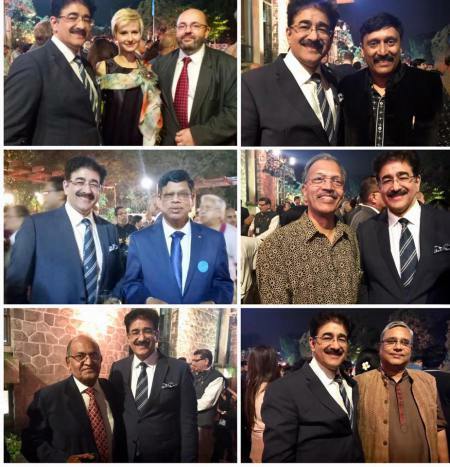 New Delhi: A grand get together to celebrate the United Nations Day was held at United Nations campus at Lodi Estate on 24th October and Dr. Sandeep Marwah President of Marwah Studios & Patron to IFUNA- Indian Federation of United Nation Association was the special guest at the event. The United Nations on Wednesday dedicated its iconic campus in Delhi to India’s cultural heritage as its office in the city marked the UN Day with a dazzling display of the country’s tangible and intangible cultural heritage. Welcome to the UN House and thank you for joining us to commemorate UN Day — the 73rd anniversary of the entry into force of the United Nations Charter. As one of our founding members, it is also the 73rd year of India’s membership of the UN, a country which has been one of the UN’s strongest allies,” Afanasiev said. I am proud to be associated with the different organizations of United Nations, and lucky enough to join hands with United Nations in different projects,” said Sandeep Marwah.